Excited to become apart of this amazing communitysubmitted by Seth M. - Mar 06, 2019 |Recommended: YesI'll know in 1 month when I move in. response from property - Mar 07, 2019 Thank you Seth!! We are Happy to have you here at The Stahlman! BEAUTIFUL but Could Use Some Work with Parking and Cost Relationsubmitted by Mariel M. - Dec 28, 2018 |Recommended: YesReally beautiful place but definitely could use some work when it comes to how much they charge versus what they offer. You're paying extra for everything. Also the place is not well insulated so you lose a lot of heat in the winter and a lot of cool in the summer. Ultimately, I would recommend because of the location but they should definitely update the insulation and find a free or cheaper parking option for tenants. response from property - Jan 02, 2019 Thank you Mariel for the review. We love hearing feed back on how we can help our residents and with cost to parking. The parking garage is at a discounted rate for our residents and is lower then surrounding garages and lots in the area. We are glad you call The Stahlman home, and let us know if you need anything. We're happy to help! Great Place to Livesubmitted by Ashley D. - Dec 17, 2018 |Recommended: YesThe Stahlman was a great stop on our journey. The building has some really cool history to it - original marble Everything is very clean and staff is great. The apartments are modern and spacious. High ceilings and lots of windows We unfortunately couldn't spend our whole lease because of a family emergency. The staff worked with us moving out early and made it easy. response from property - Jan 02, 2019 Thank you Ashley for the review. We love the history of The Stahlman too! We're sorry to see you leave, please stop by anytime you're in town. response from property - Dec 03, 2018 Thank you Sharon for your review. We are happy to have you as a neighbor. We agree, The Stahlman is the best place to live. response from property - Dec 03, 2018 Thank you Bobby! We are happy to have you and are thrilled to live here. This place is the best in Nashville.submitted by Kevin S. - Nov 13, 2018 |Recommended: YesThe very best location for almost every event in Nashville. response from property - Nov 14, 2018 Thank you Kevin. We agree, our location is the best. Whether it is for Live on the Green, catching a show at TPAC, or cheering on The Titans, We're close to it all! We're glad you enjoy our location, and happy to have you as a neighbor. Beautiful building and helpful staff.submitted by Monica G. - Oct 25, 2018 |Recommended: YesClose to all the downtown nightlife. Lovely building. response from property - Oct 26, 2018 Thanks for the review Monica! We're glad that you are enjoying the Stahlman! Great location, Lovely people and brilliant flatssubmitted by Avantika S. - Oct 19, 2018 |Recommended: YesAbsolutely brilliant flats, with a stellar location Extremely helpful and friendly people at this building. Would definitely recommend to anyone wanting to stay here. response from property - Oct 22, 2018 Hi Avantika, Thank you for the review, We're happy you like the stellar location and friendly neighbors. response from property - Feb 02, 2018 Thank you Brendan for your review! We're glad you love living in the historic Stahlman building. We agree the location is perfect for downtown living. response from property - Jan 31, 2018 Thank you Matthew for your review and kind words. We're happy to have you as a neighbor, and we're happy you love living at The Stahlman. response from property - Jan 10, 2018 Thanks for the review Roberto. We're glad you're here!  Thank you for choosing The Stahlman! Lived at the Stahlman for Two Yearssubmitted by Justin M. - Nov 30, 2017 |Recommended: YesLived here for two years and would have stayed if I didn't buy a house. It was a great place to live and is probably one of the best locations if you work downtown. I walked to and from work everyday and loved it. Getting to know all the little nooks in downtown Nashville would not have been possible if I didn't live here. Neighbors and staff are great and I never had any problems. response from property - Dec 01, 2017 Thanks for the great review Justin! We are happy that you enjoyed your time at the Stahlman. Please keep us in mind if you have friends or family that are looking for a downtown apartment. We wish you the best in your new home! I love this building submitted by Debbie D. - Nov 04, 2017 |Recommended: YesThis is the perfect location if you want to live downtown. The building is well made. I sometimes wonder if I have neighbors at all it's so quite in the building. It is downtown so there is downtown noise sirens occasional construction noise that can't be controlled. If you love a building with character look no further. It is a beautiful building. The parking is located across the street and is additional to the rent which has not been a problem except the extra cost. The staff is great. I have always worked with Chris he has always been super helpful and quick to respond. Great downtown living submitted by Mary B. - Oct 29, 2017 |Recommended: YesThe Stahlman is a great place to live with an awesome community. It might not have the amenities of newer places, but it makes up for that with its charm and proximity to everything. response from property - Oct 30, 2017 Thank You Mary for your review! We are so happy you love The Stahlman! The Stahlman is Greatsubmitted by Charles L. - Jul 30, 2017 |Recommended: YesThe Stahlman is a wonderful building. Great history and nice interior. Unlike other buildings in town, I don't feel like I live in a shoebox with paper thin walls. response from property - Jul 31, 2017 Thank you Charles for the review! We are happy that you love The Stahlman Building. Yes, The historic Stahlman is unique and different from other properties you'll see around town. Thank you for being our neighbor!